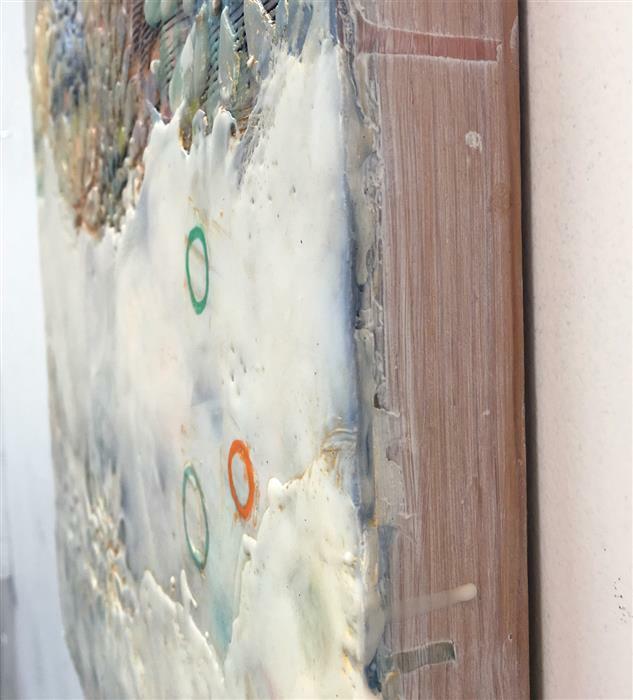 Layers of translucent beeswax and oil paint, peaceful with a feeling of emerging. 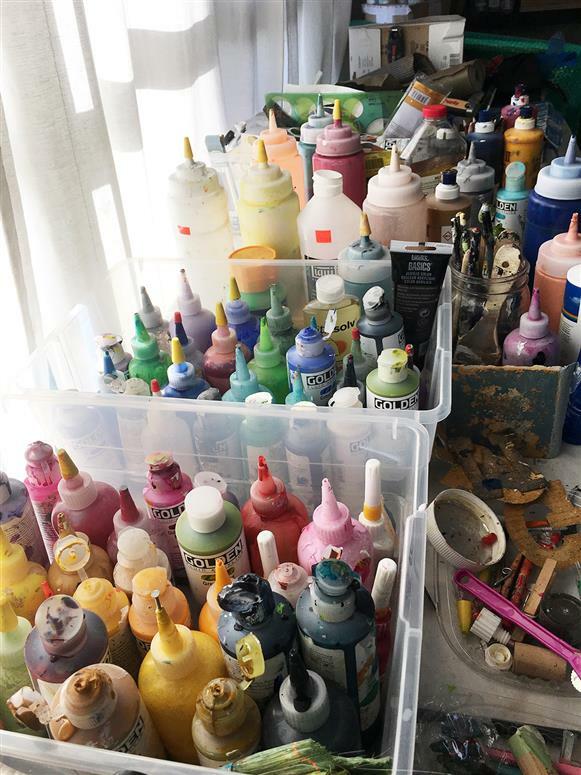 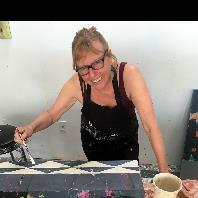 Bay Area artist Karen Meadows was encouraged by her parents, an artist and a professor, to pursue the creativing process of making art. 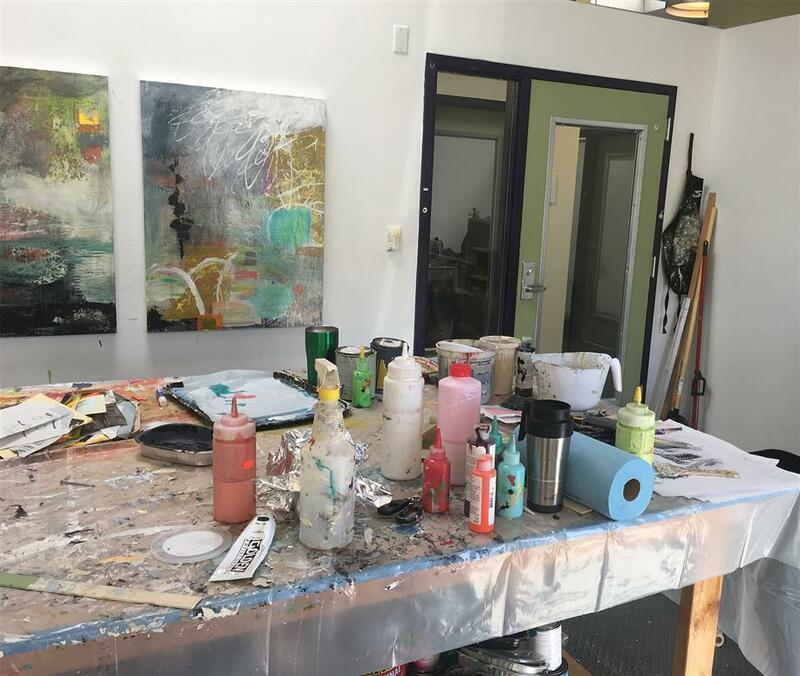 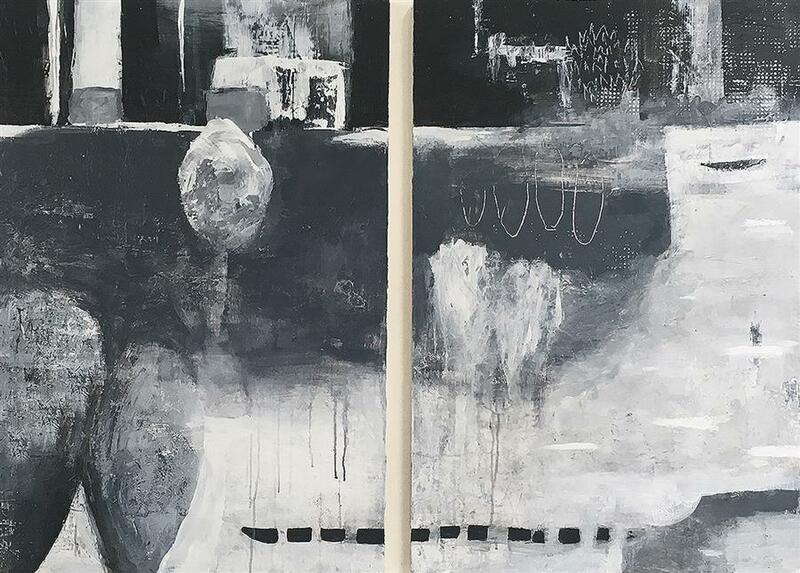 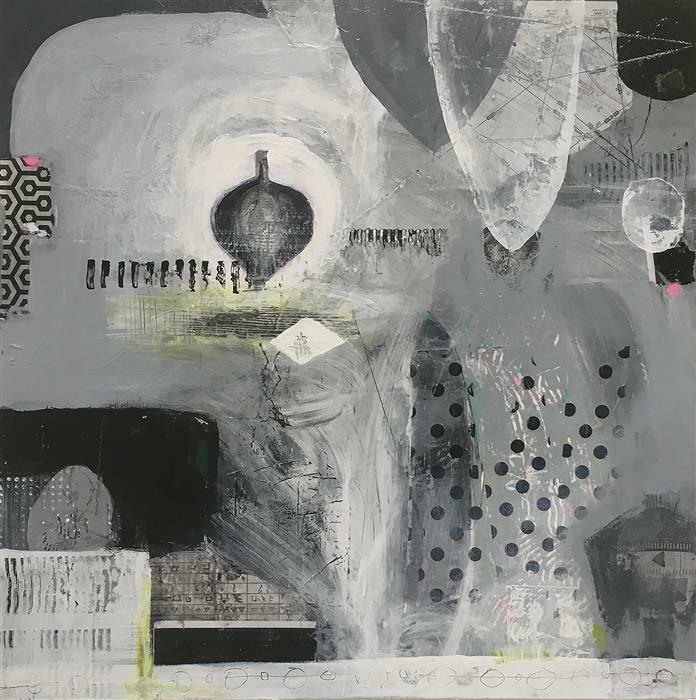 After receiving her MFA at California College of the Arts, Karen worked to develop her personal practice while also teaching art at a high school level. 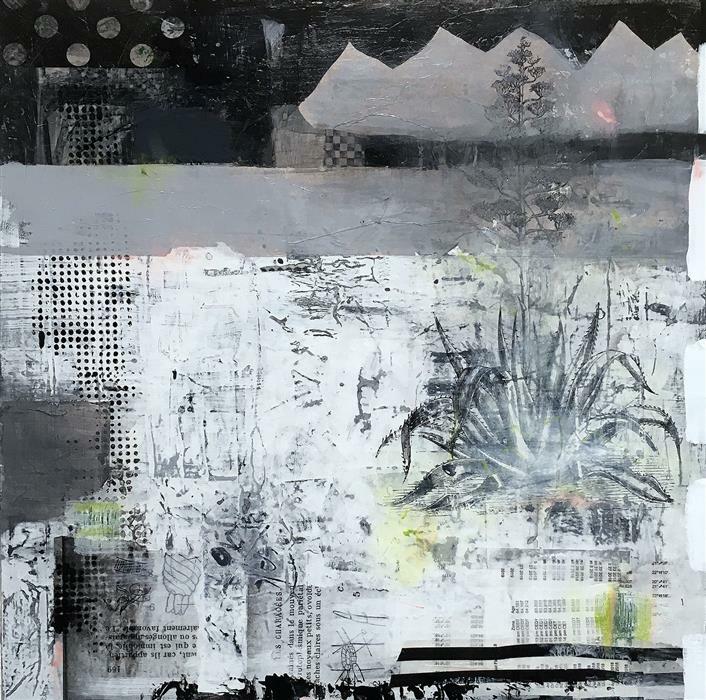 In fact, it is a delightful coincidence that UGallery staffer Madeline was a pupil of hers. 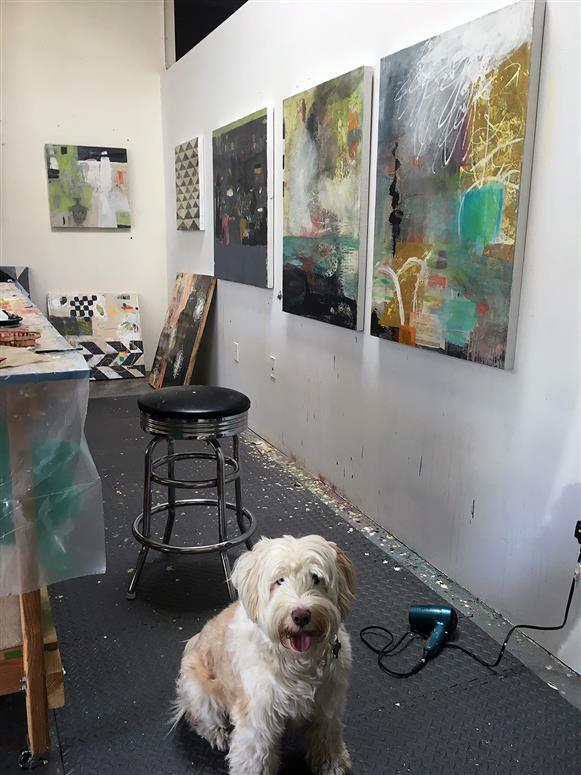 Now Karen’s time is focused solely on her studio career. 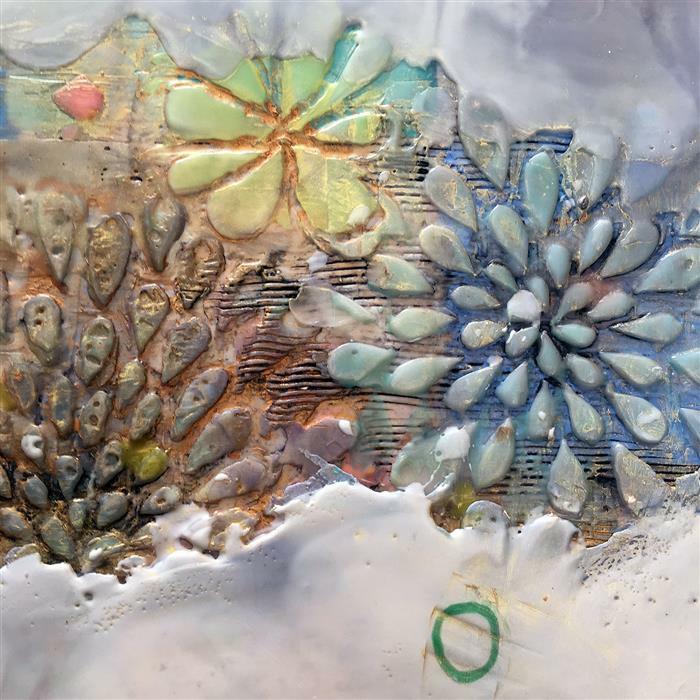 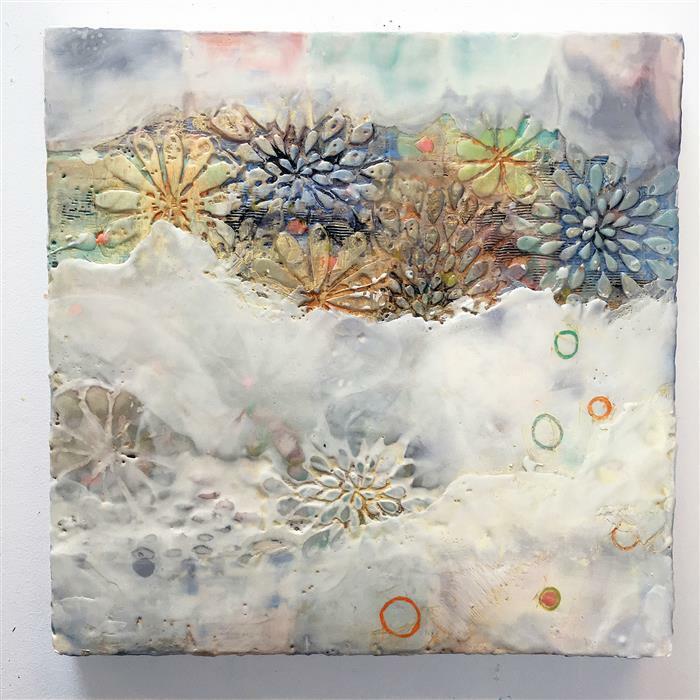 Her abstract, mixed-media and encaustic work relies on thoughtful color theory and use of pattern. 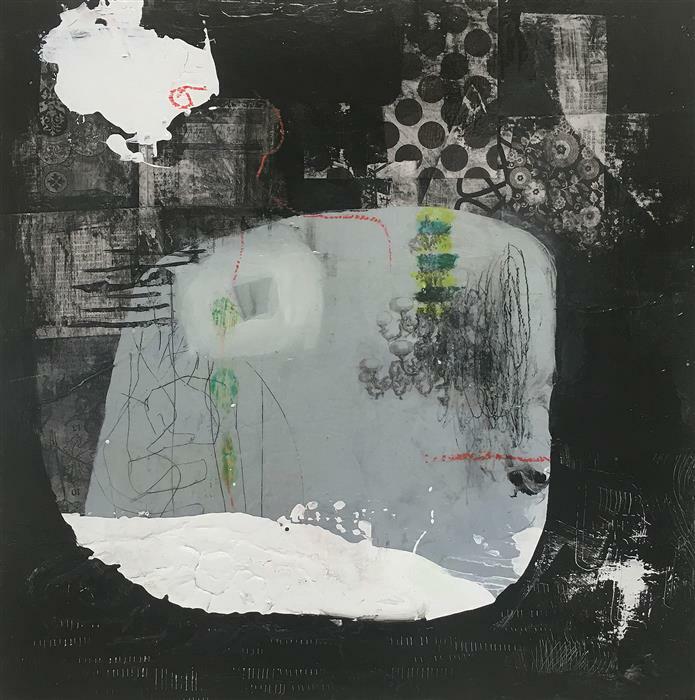 Karen’s work has been shown at the Lausanne Biennale in Switzerland, at museums in Europe, and across the San Francisco Bay Area.